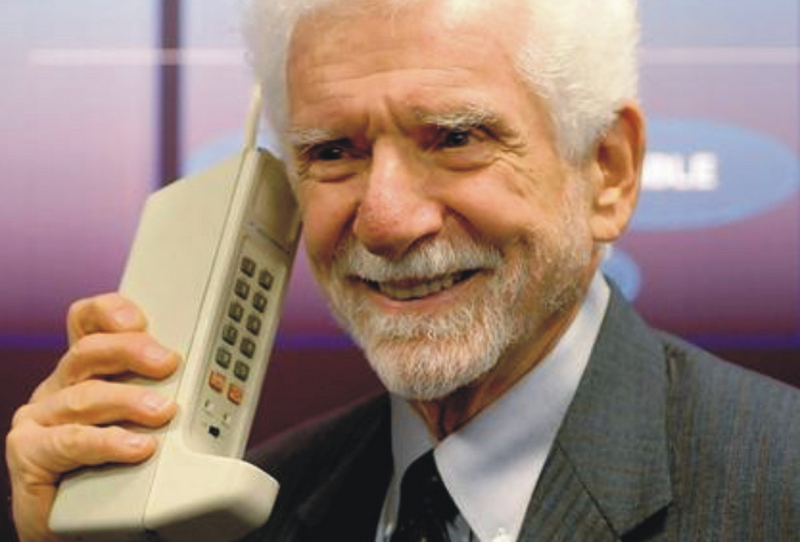 Today is the anniversary of the first cellular phone call that was ever made. It’s the cell phone’s 40th birthday. Yes, it’s only been in the last 10 years that every one (and their mother) began carrying one around. Most of us can hardly remember living without them. Smartphones are the fastest adopted consumer technology of all time. According to Flurry, they were adopted ten times faster than PCs and three times faster than the Internet. An explosion like that produces a few misfires. It’s inevitable that the competition to grab consumer attention is going to lead designers down a few dead ends. This roundup goes out to the crazy ones, a few of the poor cell and smartphones phones that tried new ideas, only to crash and burn. People love playing games on their phones, but no company has been able to successfully breed a handheld gaming console with a cell phone. Nokia was possibly the first to try with the N-Gage which came out back in 2003. The trouble is that it failed on both counts. It was uncomfortable and awkward to use as a phone and the lack of games didn’t encourage gamers or developers to take a chance on it (it took physical cartridge games, but they were very difficult to insert and remove). It was also expensive, with a U.S. launch price of $300. 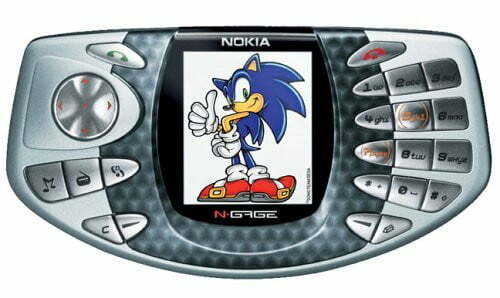 Nokia retained the N-Gage name and morphed it into a mobile gaming platform which eventually died out in 2010. Before Google pulled the rug from under them with Maps, the big satellite navigation companies were sitting pretty. 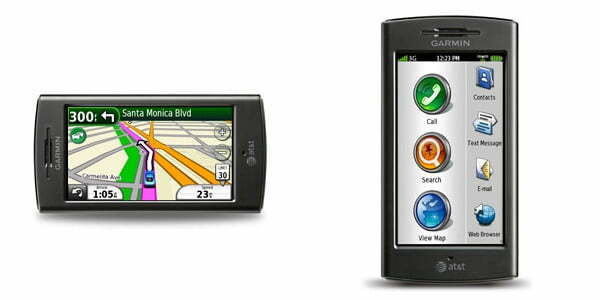 When smartphones began to take off, Garmin decided to give it a whirl – not a good idea. The Nuvifone was announced in 2008, but the release was delayed into 2009. The Nuvifone was a great Sat Nav replacement with turn-by-turn directions and a full set of North American maps out of the box; it just wasn’t a very good phone. Better known as the original T-Mobile Sidekick, this 2002 release had a monochrome LCD which slid up to reveal a full QWERTY keyboard. It was designed by Danger (which was bought by Microsoft in 2008) and manufactured by Flextronics, and there was also a version with a color LCD. 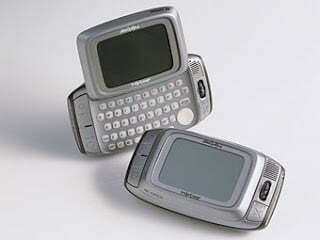 T-Mobile kept the Sidekick name going for years with new releases courtesy of a Danger and Sharp partnership, and the basic design was refined, but always featured the sliding screen revealing a keyboard. They even revived the brand for a Samsung phone last year. Doesn’t it seem just a little patronizing and possibly misogynistic to release a phone just for ladies? 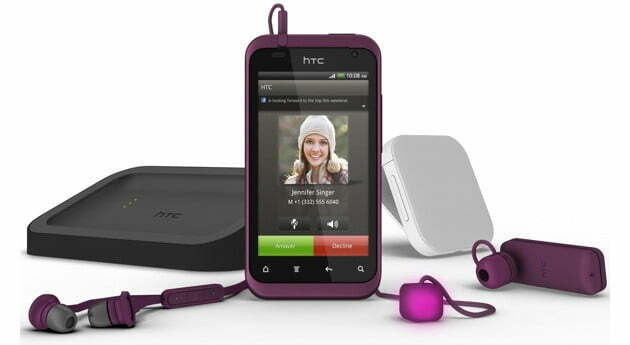 HTC and Verizon denied it was only for women, but the codenamed Bliss (later changed to Rhyme) obviously was. It was purple, heading for pink, and had accessories like a flashing pink cube or “charm” designed to hang out of your handbag and tell you when your phone was ringing. 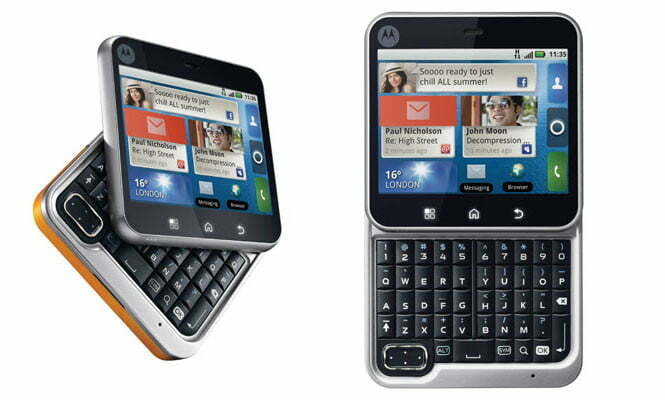 Phone designers always seem to think that teens will settle for underpowered devices with QWERTY keyboards, if they’re designed for social media addicts. There have been some horribly ugly examples over the years from the Nokia X5-01 to the Microsoft Kin to the HTC ChaCha, but the Motorola Flipout takes the biscuit. This brightly colored square had swappable covers and a flip out keyboard which made it positively obese in terms of thickness. It also managed to look cheap, but was actually quite expensive on release, although that price dropped fast. Taking the double screen idea one step further, Kyocera came up with dual 3.5-inch touchscreens on the Echo that could also act together as one 4.7-inch screen in “Tablet mode.” There were optimized apps that could use both screens, such as an email app with the message displayed on the top screen and your inbox on the bottom. It could also multitask and run separate apps on each screen. Not a bad idea, but after mediocre reviews it failed to catch on. 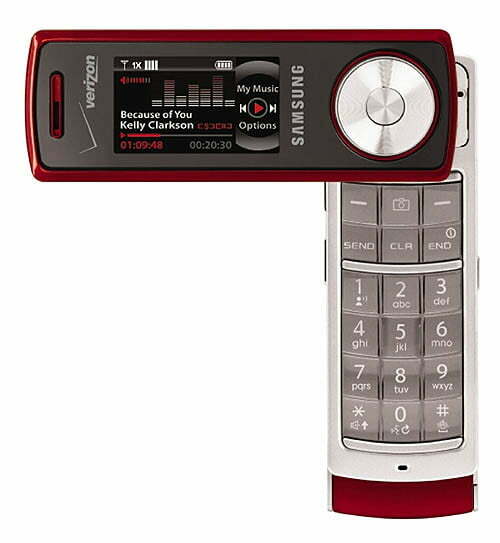 Instead of the typical flip-open clamshell design the Juke was a tall, slim phone with a front display sporting music controls that swiveled up to reveal the keypad. The big gimmick was the focus on audio. At first glance it looked like a typical MP3 player with a big scroll wheel, but there was a difficult-to-use, annoying-as-hell phone lurking beneath. Surprise! With the once great Walkman brand long since supplanted by Apple’s iPod this MP3 player/phone hybrid was unlikely to succeed. It combined a budget look with a lack of features. It had a dedicated button to launch the Walkman and a Zappin button to skip to the chorus of tracks (no actual playback buttons though). To further show off the musical credentials, there was a Karaoke mode that could drop vocals out and display lyrics. Releasing this in 2011 was optimistic to say the least. 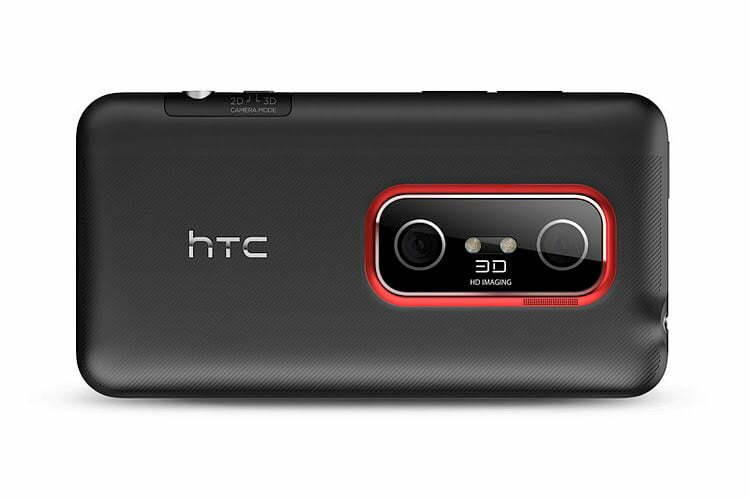 The HTC Evo 3D jumped on the 3D bandwagon a couple years ago as a bunch of electronics manufacturers tried to convince us that 3D was the next big thing. It wasn’t. Turns out nobody really feels the need to be able to take 3D photos and capture 3D video. A 3D effect on a small screen is simply not a great idea, as Nintend has learned with the 3DS. 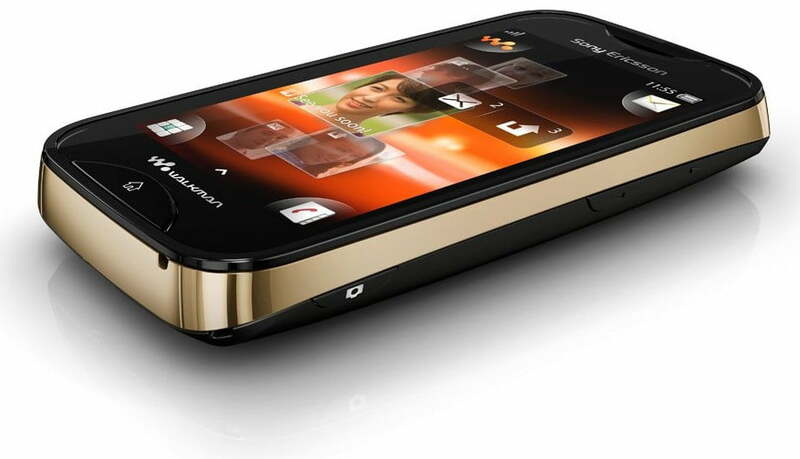 The Evo 3D was better than the LG Optimus 3D, but it turned out that the market for 3D phones was pretty flat. 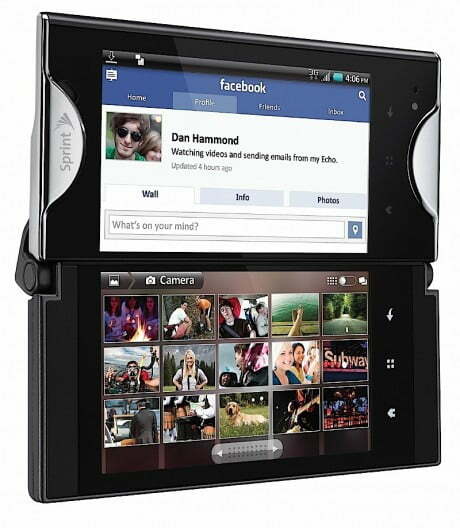 Who wants a camera on a cell phone? Turns out everyone does, but this was the first Nokia phone to feature one and it came out in 2002. 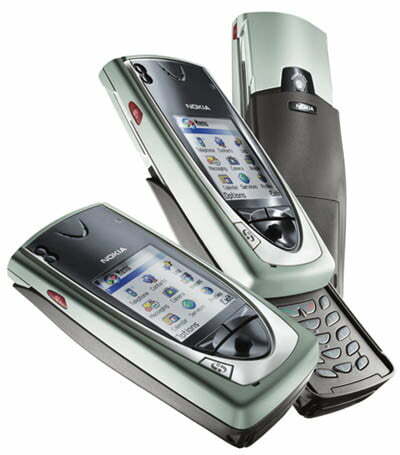 It also featured the slider design which would prove so popular with the N98 and had a joystick for navigation. Product placement is a great way to make sci-fi movies feel dated within a few years – the Nokia 7650 appeared in Minority Report. Yep, Steven Spielberg thought that the future would be filled with phones from 2002. The truth is that funny-looking, gimmicky phones are still alive and well. The projector toting Samsung Galaxy Beam was announced earlier this year, and some people would argue that the phablet craze is gimmicky too. With so many smartphones hitting the market every year we’re bound to see many more crazy designs trying desperately to stand out from the crowd. What’s your pick for the most gimmicky phone? Do you remember a crazy design that never took off? Post a comment and share.